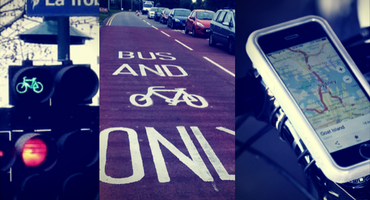 Our response: We commend the changes to allow cyclists to cycle in bus lanes, but stress the importance of being vigilant to observe the movements of buses. Our response: Even greater news! Our response: Consistent with promoting a safer road environment for all road users, we remain committed to distraction-free operation of all vehicles on our roads at all times. Specifically in relation to mobile phones and the law amendment, like motorists, cyclists must not use their phone unless the phone is secured in a hands-free handlebar mount or pocket. Safety is the absolute consideration. However, we are concerned to ensure that, first and foremost, enforcement efforts are focused on those with the greatest capacity for harm from distraction, namely motorists in cars. We remain committed to pursuing the introduction of cycling safety measures and other laws that will have a real impact on the safety of cyclists on Victorian roads, such as a metre matters laws and proper enforcement of existing laws that protect cyclists as the most vulnerable road users. Cyclists are legitimate road users and must comply with road laws. However, experience with enforcement of cycling laws in other states, such as NSW, has demonstrated that cyclists can be an easy target for enforcement agencies, and we don’t want this to lead to increased tension between cyclists and motorists with little safety benefit. This remains of real concern for us. We hope that enforcement efforts targetting distracted road users focus on those with the capacity for the greatest harm, such as motorists. Be alert at bus stops and watch out for passengers getting in and out of buses, stop behind the bus until it has moved off. Using a phone as a navigational device/GPS while riding is prohibited unless it is secured in a commercially designed holder fixed to the bicycle. All other functions (including video calls, texting and emailing) are prohibited. The penalty is a fine of $476. Demerit points do not apply.